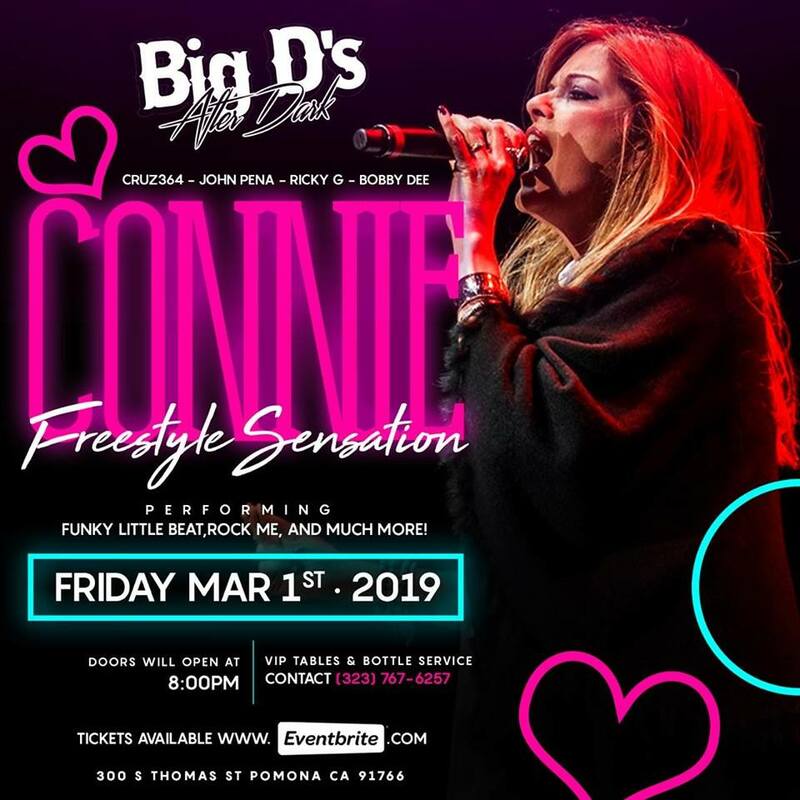 Get Your Tickets For Freestyle Sensation Connie For Next Friday Night performing her smash hits Funky Little Beat,Rock Me, and much more! 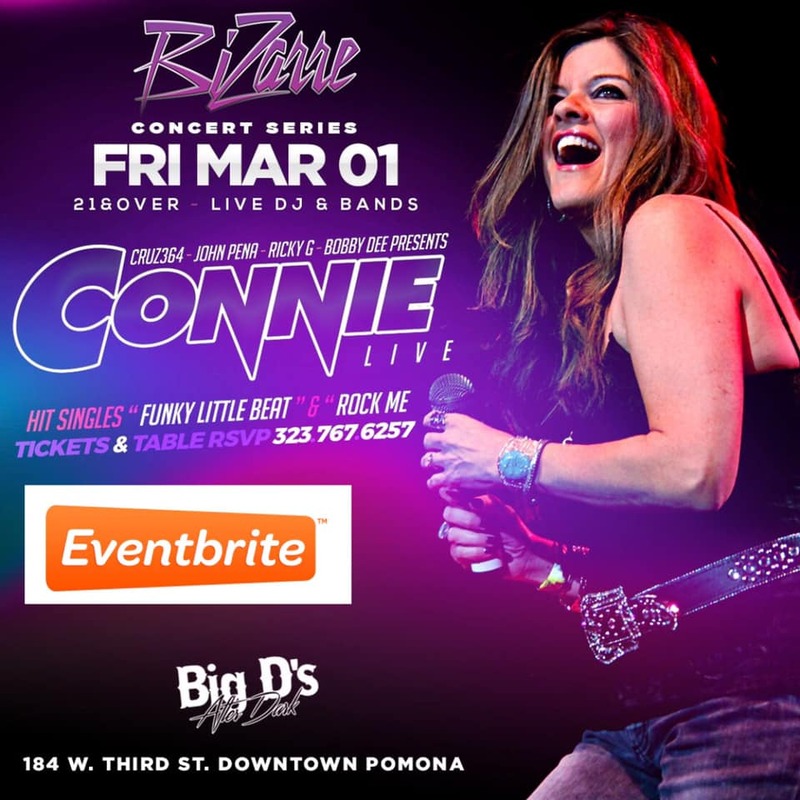 Copyright © 2019 Connie Music. All rights reserved.